Attorney General Bill McCollum's lawsuit against the federal government's newly enacted health-care program has drawn political fire as a costly quixotic venture. State Sen. Dan Gelber, who is running for McCollum's job, calls the litigation "frivolous" and "destructive to the office." Gelber, a lawyer from Delray Beach, said he would not have brought the suit, and joins fellow Democrats from around the state in slighting its prospects for success. But, while everyone is entitled to their political opinions and legal predictions, there's no debating the fact that, based on cost, the McCollum lawsuit is a bargain for Floridians. According to the $50,000 contract signed with constitutional scholar and litigator David Rivkin, Florida has retained a team of attorneys for an hourly rate comparable to that of a run-of-the-mill paralegal. 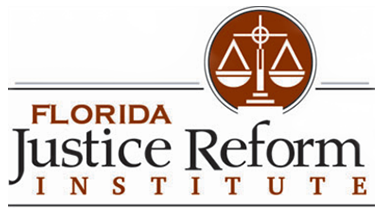 "It's absurd to complain about the expense," says William Large, president of the Florida Justice Reform Institute. "The state is getting one of the best and brightest legal minds for $19 an hour." Large calculates that rate by dividing the $50,000 retainer's hourly rate of $250 by the 13 participating states. "Mr. McCollum is well within his rights, acting as a good fiscal steward of the state," Large says. Large saw the other side of the coin a decade ago, when Florida paid $3.4 billion in contingency fees to attorneys to prosecute Big Tobacco. In the settlement that resulted, some lawyers raked in fees of as much as $112,000 an hour. McCollum is supporting legislation -- House Bill 437 and Senate Bill 712 -- that would cap contingency fees and require an open, cost-benefit vetting process before state agencies can employ outside legal counsel on contingency. Critics of McCollum's legal challenge have suggested the attorney general is contradicting himself by retaining outside counsel to fight the feds. Yet, monetarily speaking, there's no comparison. While Rivkin's usual rate is $950 per hour, the constitutional scholar has been retained by the 13 states at $250 per hour. It is expected that the states will share the costs equally -- which comes out to a rate of $19.23 per hour. If additional states join the suit, as some expect, the hourly charges to each participant would go even lower. The contract is capped at $50,000 in fees and is not based on contingency fees. "What's everyone so scared about?" Large asks. "This is a constitutional matter that deserves to be debated." Indeed, even Gelber declines to commit to withdrawing from the suit if he is elected in November. "It depends on where the case stands," he says. McCollum is undaunted by his opponents and unapologetic about his legal gambit. "This unconstitutional (health-care) law would ultimately cost the state of Florida billions of dollars to be implemented," he says. As with all cases litigated by the Office of the Attorney General, civil defense attorneys and civil appeals attorneys track their time for the purposes of accounting for costs, assigning resources and recouping expenses in the event of successful outcomes. The AG's office has set up a case-specific tracking system for those attorneys to report time spent on this suit for the purposes of eventually recouping expenses from the federal government.